Double exposure photography – or multiple, for that matter – is not exactly a new form of art. In fact, it’s been around since film, allowing photographers to expose the same film frame twice to combine two different images. The results can be very artsy, eerie, or abstract. If you’ve always wanted to master this art but never got around to it, this article will provide you with the necessary information on how to learn to double expose with both film and digital cameras. Also, if you’re looking for concept inspiration, you can also visit the websites of the artists featured in this article. First of all, you must be aware that many of the newer models of digital cameras come with their own multiple exposure settings. It means that you won’t need to manually combine two images in a photo editing software in post-production – all the magic happens in-camera. We recommend cameras like the Canon 5D Mark III for beginners because they offer the most flexibility. You will be able to take more than two exposures in one image, as well as use a previously shot image for your double exposure creation. On the other hand, cameras like the Fujifilm X100s are limited to shooting only two frames in a row. Make sure you are familiar with the capabilities of your digital camera before setting out for a photo shoot. If you’re working with a film camera, instructions for double exposure photography can be found into the Step-by-step section below. That’s not to say that random compositions cannot be stunning. However, you might want to do a bit of planning for your first shots with double exposure photography. First of all, make your job easier by taking side portraits against the light. Darker subjects on brighter backgrounds are the best for the kind of double exposure we’re looking to create. Second of all, go as crazy as you want when it comes to the kind of pictures you will blend together. Some of the most impressive creations come from combining portraits with urban or nature textures. However, the rule of thumb with double exposure photography is to experiment as much as you can. The process depends a lot on the kind of camera you’re using. Also, you can manipulate the images in a photo editing software, such as Photoshop (more on this below). When it comes to film, double exposure means you snap two pictures that overlay on the same film frame. This is how you do it. You need the first frame – which will represent the outline of the final image – to be shot as a silhouette. In other words, use a white wall or the sunlight to get the subject to be as dark as you want, keeping in mind that the darker it is, the more details of the second frame will appear. For the second frame, look for something with a lot of texture. For double exposure wedding photography, flowers make for a great second shot. However, you can also shoot trees, ocean, palm trees, or urban landscapes. Honestly, your creativity is the limit here. Best film cameras to create double exposure photography with: Nikon F3, Canon EOS 5D, Canon A-1. Most 35 mm film cameras will also work. You can also experiment with double exposure directly in-camera. Most digital cameras have a dedicated double exposure mode that allows you to preview the end result. Best digital cameras to create double exposure photography with: Canon 5D Mark III, Nikon D800. Not sure if your camera has a multiple exposure mode? 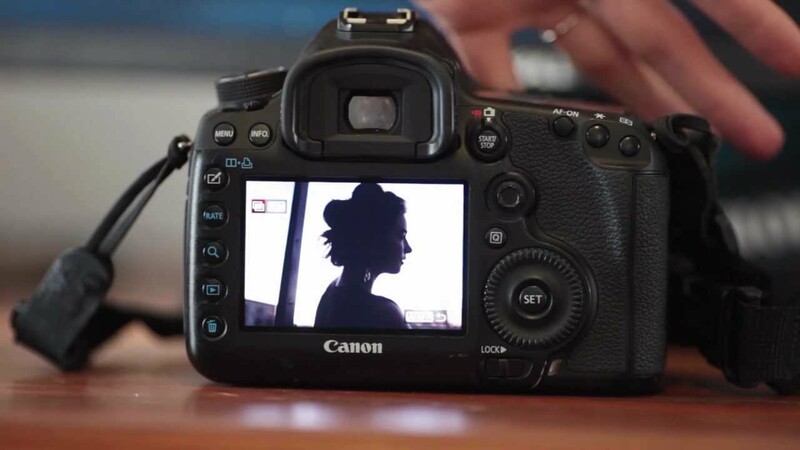 Take a quick look at the camera’s manual or simply search your model on the internet. Some would say it’s cheating, but there are many situations where you might have to rely on post-production to get that double exposure effect. Sometimes, you simply can’t set up the shot as you would like to. Other times, you might crave that control Photoshop gives you, allowing you to get the perfect outcome. Whatever the reason, you can trust Photoshop to help you achieve that double exposure photography you wanted. Indeed, you need some basic knowledge of the photo editing software, but it shouldn’t take that long, once you get the hang of it. Required Photoshop skills: Manipulating Layers, Channels, Levels, Layer masks, and Filters – if these sound foreign to you, also check out our collection of the best Photoshop tutorials for beginners. There’s no surprise that the double exposure technology did not stop at digital cameras. Therefore, you don’t even have to own a camera – use your phone to create the fascinating effect. Nowadays, there’s an app for everything, and the rule holds true for DEP, too. These are the apps that AppCrawlr deems best for iOS and for Android. So, Are you looking for inspiration and concept ideas for your first double exposure photo shoot? Take a page from the books of these amazing photographers – but don’t be afraid to experiment according to your own imagination! Now that we’ve covered the vast subject of double exposure photography, let’s just dip out toes into what multiple exposure means. The DE technique already creates some abstract and surreal imagery, but ME takes it to another level. Even though multiple exposure is usually used in cinematography, recent years have showed a cross-over to photography, as well. Many artists use ME to record motion, and the results are impressive. Take a look below. To sum it up, double exposure photography is just as good as you are as a photographer. Try not to get caught up with the technical aspect of it and let your imagination wander. The best approach is to gain understanding from experience – trial and error will be your friend.